1. Someone enthusiastic about books. 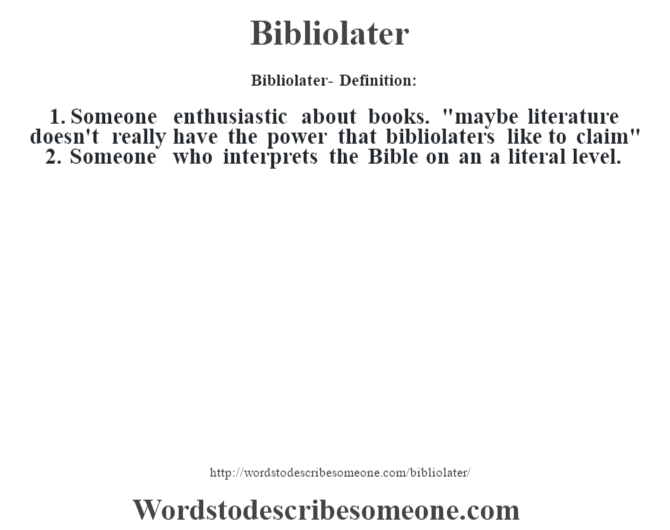 “maybe literature doesn’t really have the power that bibliolaters like to claim” 2. 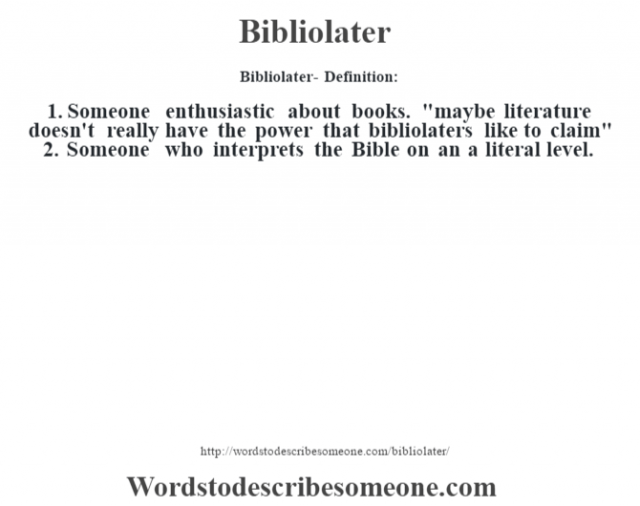 Someone who interprets the Bible on an a literal level.